No competitors allowed, including: Eppendorf, Axygen, Corning, SSI, Labcon, Global Scientific, Thermo Fisher, Sartorius, Biohit, Gilson. High visibility vests will be provided by Biotix. The San Diego Distribution Center is a critical element of the Biotix customer experience. Attendees will see how the distribution team sets a high standard for performance expectations and results with a CI roadmap that sets a clear path toward the highest level of efficiency. 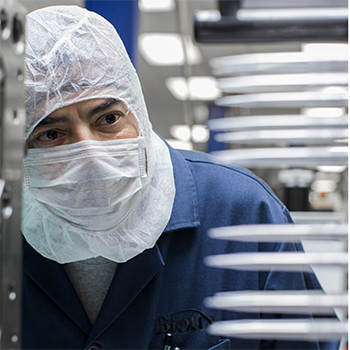 Discover how the Biotix team strives to exceed all customer expectations by focusing on a lean production approach to daily operations utilizing basic tools like SIPOC, value stream mapping, 6S program, root cause/corrective action, turnbacks targeted reduction, customer feedback, gemba, single piece flow, visual controls, kanban, and production leveling. Hear how Biotix strives to create a professional environment of employee empowerment and engagement. Its everyday objective is that the machine is finely tuned and well-oiled through a personal commitment to excellence and ongoing training. Hear how team identity, shared vision, open feedback, orientation for results, trust, constant learning, strong leadership, and a positive work environment are the core elements of the Biotix Distribution Center’s culture of excellence.